On Friday, October 4, I was honored to join a distinguished panel of speakers to discuss “Resilient Design for Sustainable Urbanization” at the United Nations (UN) headquarters in New York. The panel brought together high-level experts on natural disasters to help identify resilient design challenges and opportunities for national thought leaders and policymakers, and share their best practices and innovative, replicable ideas. The event, hosted by the UN’s Economic and Social Council, precedes World Habitat Day 2013 on October 7, when cities around the world will celebrate by organizing events addressing Sustainable Urban Mobility. 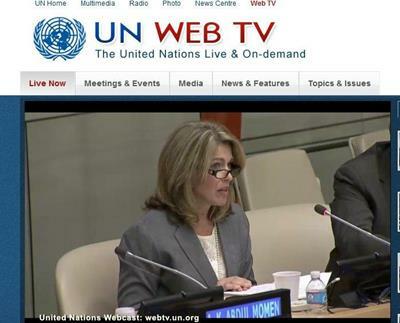 View the United Nations broadcast or download the prepared statement.